In an appeal filed by Mr. Surender Pal Singh, Central Information Commissioner Prof. M. Sridhar Acharyulu has held that the land records containing the names of different owners and describing boundaries and extent of the land are public records and the information such as names of persons and the extent of land owned or possessed by the public authority is neither private information nor ‘third party’ information. “The land is open and transaction of change of ownership of a particular piece of land is registered with Registrar for being recorded as admissible evidence of that ownership for public to know. Registration is notification to society and evidence of the transaction and not an affair to be kept secret. If the argument of PIO is accepted the registration of transactions of sale and mortgage would never be available to people in general. That will defeat the purpose of recording the transaction at all. Revenue department is supposed to survey, map the possession, prepare and update the ownershop and possession related records in villages with reference to agriculture and to be kept for various purposes including the ascertaining of land rights”, the CIC added. The Commission hence directed to provide access to the appellant to the land records as sought by appellent before 31st December 2014 and advises the appellant to take copies of only those relevant documents without imposing a heavy burden on himself and the Public Authority by demanding copies of the entire record. The Commission also directed the Public Authority to explore displaying the land records on the prominent walls of villages for the convenience of the people including citizen like appellant. The appeal was filed against Sub-Divisional Magistrate, GNCTD, Delhi. The appellant through his RTI application had sought for information on 12 Points Viz i) In Kamabavala Village how many plot holders are there ii) What is the extent of the plot has been allotted to each plot holders iii) After allocating the plots, what is extent of the land left for the agriculture iv) How much land has been used for Plots, etc. The PIO gave point wise information on 09-10-2013. Being unsatisfied, the appellant filed the First Appeal. First Appellate Authority directed PIO on 19-12-2013 to show entire record. Seeking copies of information, appellant approached the Commission. Transparency of the land records is the mandate as per the Right to Information Act, 2005 and Public Records Act, 1993. In fact this is also the objective behind the statutory responsibility of voluntarily disclosing the information under section 4(1)(b)of RTI Act. Various Revenue Acts also specifically provided for right to information about land records and even offered to give copies free of cost. The A.P. Rights in Land and Pattadar Pass Books Act 1971, provided for inspection and copies of the ROR (Record of Rights) saying ROR to be open for inspection by public. Certified copies to be given on payment of fee. The Commission termed it as the duty of the public authority to provide access of the records to the public. Non- disclosure of records, according to the CIC, would lead to huge corruption as apprehended by the appellant. Transparency, as it approved, was the only way by which coirruption can be prevented. It also referred to Sections 74 and 76 of Indian Evidence Act, 1872 which provided right to information about public documents explaining what and how of exercising that right. 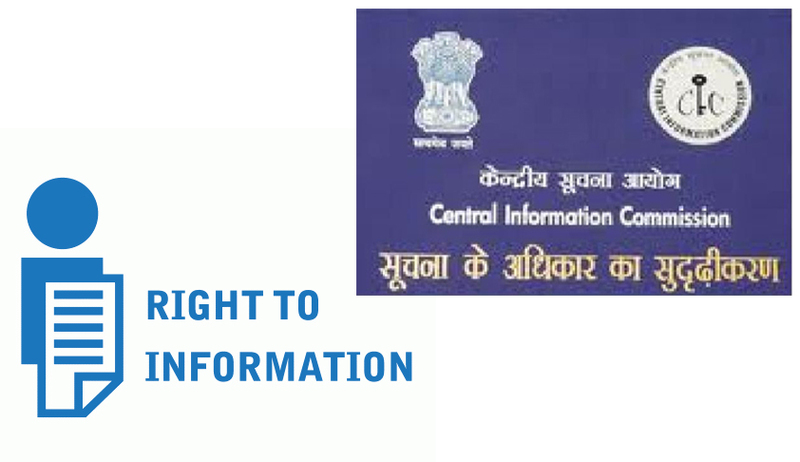 Prior to Right to Information Act, 2005 this was the real right to information available to the people regarding public documents.